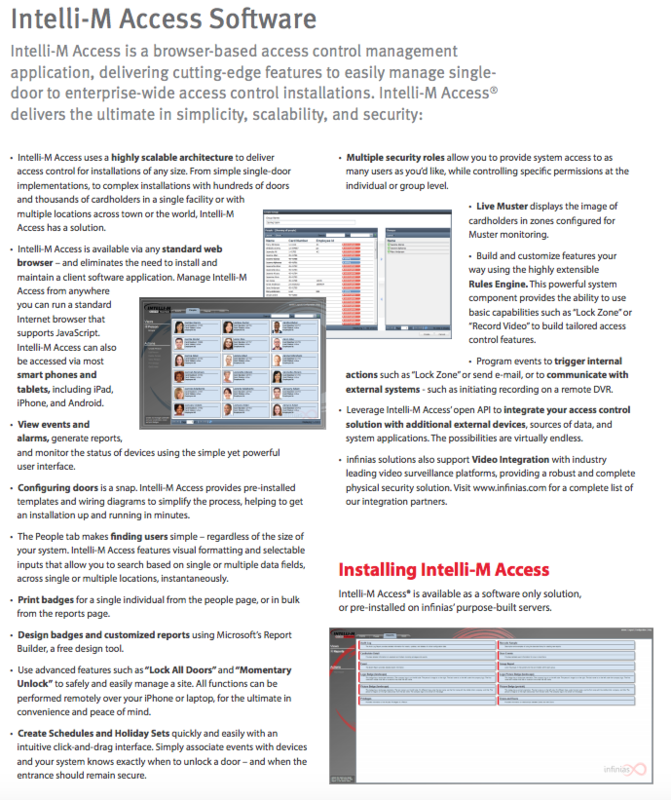 Access Controlinfinias™ makes access control easy. 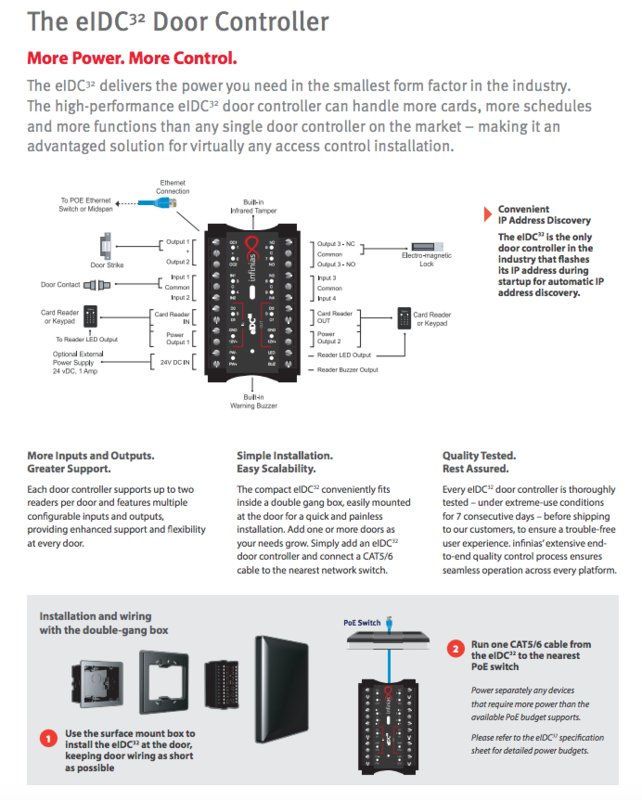 Simply install an eIDC32 door controller in a double-gang box at your door, and connect to the nearest network switch via a single CAT5/6 cable. Add one or more doors anywhere your network goes, making it easy and cost effective to expand your access control system as your needs grow — or as your budget allows. Combine with our browser-based access management software for a scalable solution that can be deployed in a single building or across multiple locations. Intelli-M Access Online DemoTake Intelli-M Access for a test drive with our online demo. Use your smartphone, tablet, computer or any other internet device.